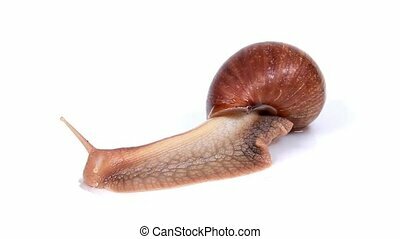 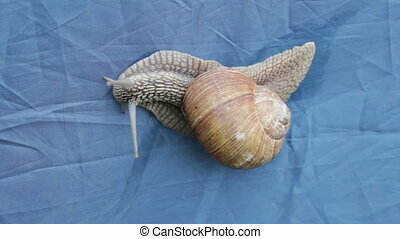 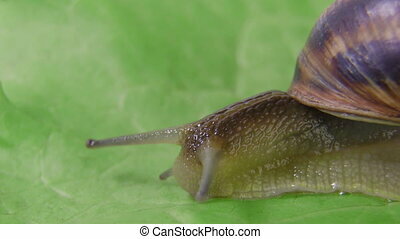 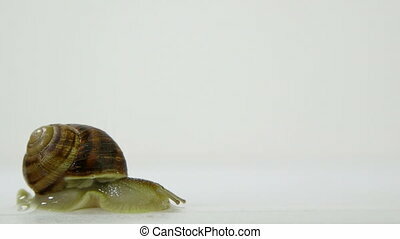 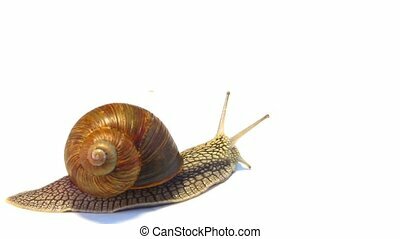 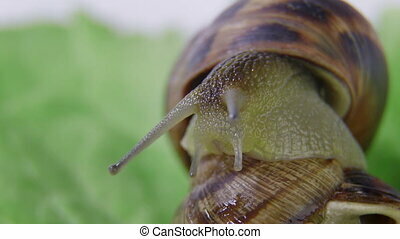 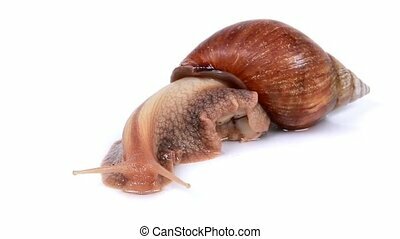 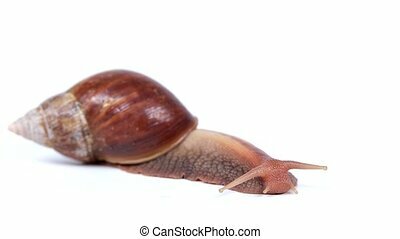 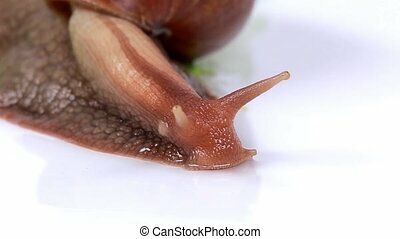 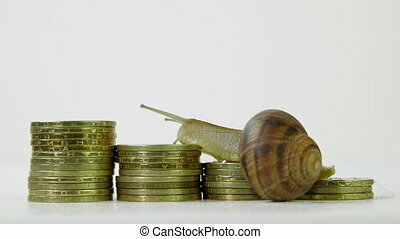 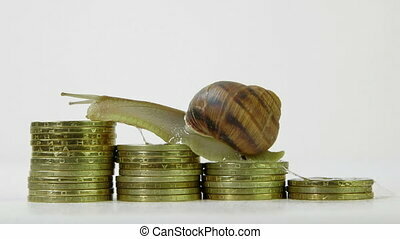 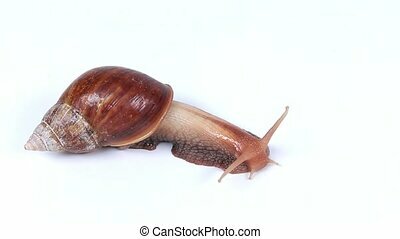 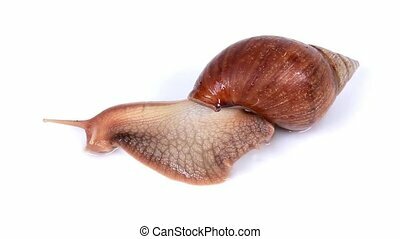 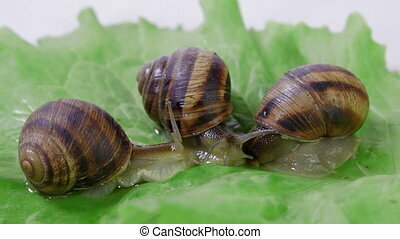 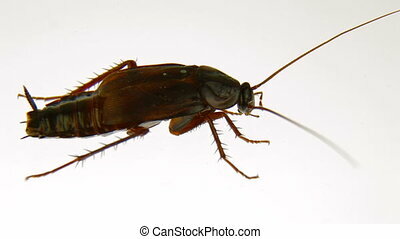 Snail crawling on a white background. 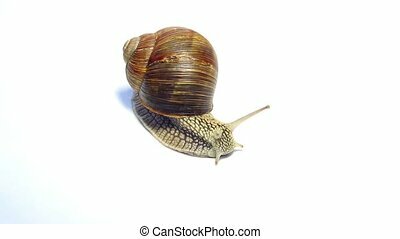 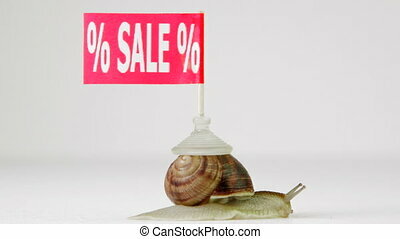 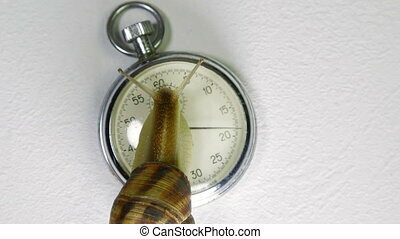 Garden snail moving forward on white background. 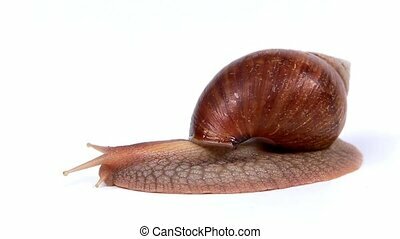 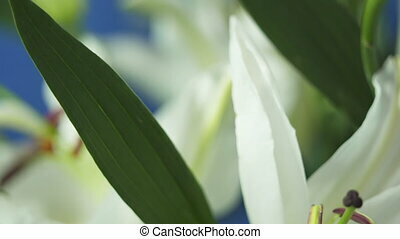 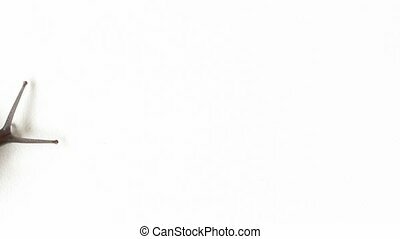 Garden snail on white background. 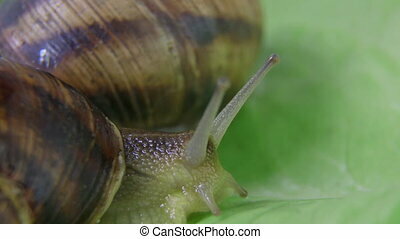 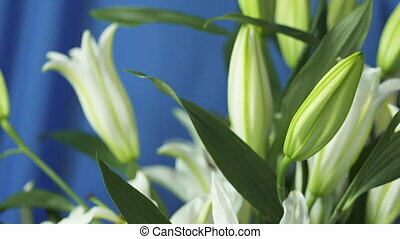 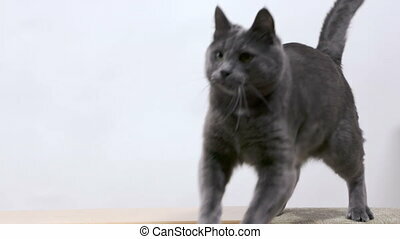 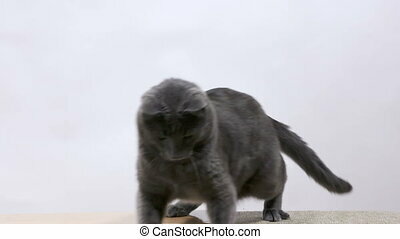 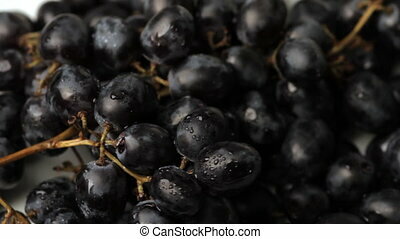 Macro.